This vehicle is exactly as advertised, which is great because I've bought items online that were nothing like what was advertised. I really like the floor mat, that honestly cracked me up. Looks exactly how it’s shown in pictures, purchased for my 2 yr old who loves it! Bought this for my daughter. She loves it. It’s fun for the adult and the child. got this for my baby birthday and she love it!!! 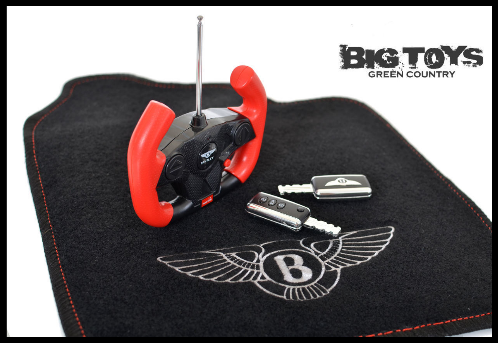 Click the button below to add the Official Licensed Bentley Continental GT Ride On 12V Car w/ remote control -Pink to your wish list.